Accumulo provides robust, scalable data storage. 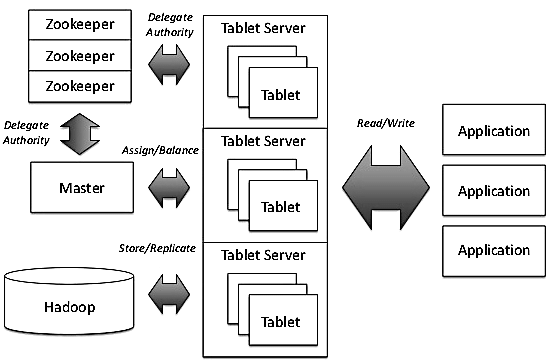 It is a scalable, distributed key-value store based on Google’s Bigtable and built on top of Apache Hadoop, Apache ZooKeeper, and Apache Thrift. Accumulo is the third most popular NoSQL wide column store behind Apache Cassandra and Hbase. Here Are the Steps on How to Install Apache Accumulo on Ubuntu Running on Single Cloud Server Instance. You have read our linked guides in this webpage to complete the work. First install Apache Hadoop with HDFS. This is the service that Accumulo needs. Follow our guide on installing Apache Hadoop on single cloud server. You’ll need password-less SSH as Hadoop need as the system needs connect to the server over SSH without being prompted for password. All details are written in our Hadoop installation guide. We may use hadoop-2.7.3 for example, you should change command, directives to match your version number. At http://server_ip:50070, you’ll get the NameNode interface. Apache Accumulo web monitor UI will be at http://server_ip:9995. Check ports, running processes if there is any trouble. This Article Has Been Shared 3242 Times! Here is How to Run Apache SAMOA with Apache S4. Full Form of S4 is Simple Scalable Streaming System. It is a pluggable platform to develop applications. Cite this article as: Abhishek Ghosh, "How to Install Apache Accumulo on Ubuntu (Single Cloud Server Instance)," in The Customize Windows, July 26, 2018, April 23, 2019, https://thecustomizewindows.com/2018/07/how-to-install-apache-accumulo-on-ubuntu-single-cloud-server-instance/.